Product Type: Hydraulic Motor | Replaces: 11.214.255 E190011 11214255 AMP4632 IM0077 AMP-4632 | Rotation: Clockwise | Shaft Outside Diameter: 19 mm | Volts: 24 | Source: OEM . Manufacturer Part Number : 4410500120, 1505054, 81259370023, 0005424018, A0005424018. For IVECO: 500340806. For DAF: 1505054. 12223861 For GM 3Bar 3 bar Manifold Map Sensor Boost Turbo W/ Pigtail Plug Wire. NEW Power Steering Pump IVECO DAILY 504134868 504238603 07B421ST 26115970. 2005 Iveco Iveco Daily IV 35C10, 35S10 KW70 HP95 cc2287 2006.05-. 2007 Iveco Iveco Daily IV 35C11 V, 35S11 V KW78 HP106 cc2287 2007.07-. OEM Numbers: 500060042 / 504046460. FIAT 500060042. IVECO 504046460. IVECO DAILY III Box Body / Estate 29 L 10 V (ALJA43A2. IVECO DAILY III Box Body / Estate 29 L 12 V (ALKA41A2. IVECO DAILY III Box Body / Estate 29 L 14 01/2005 -. ). 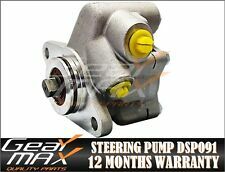 POWER STEERING PUMP DSP091. FIAT, 3841948, 4817645, 46438817, 500327378, 7301497, 99447054, 464606750, 46460675, CITROEN, PEUGEOT, 4007. DAILY II nadwozie pełne / kombi 1999-05 -. DAILY II platforma / podwozie 1999-05 -. OEM Numbers: 500327378. FIAT 500327378. IVECO 500327378. IVECO DAILY III Box Body / Estate 2.8 CNG 05/1999 -. IVECO DAILY III Box Body / Estate 29 L 11 V 05/1999 -. IVECO DAILY III Box Body / Estate 29 L 13 05/2001 -. OEM Numbers: 504046460 /. IVECO 504046460. VAICO V27-0017. IVECO DAILY III Box Body / Estate 29 L 10 V (ALJA43A2. IVECO DAILY III Box Body / Estate 29 L 11 V 05/1999 -. IVECO DAILY III Box Body / Estate 29 L 12 V (ALKA41A2. ). IVECO 04896314. BOSCH K S00 000 400. BOSCH K S01 000 370. Pump Type: Vane Pump. 130 E 25 DP tector 09/2006 -. 09/2015 176 240. 09/2015 134 181. 180 E 25 tector 09/2000 -. DAILY II fullbody / estate. DAILY II flatbed / chassis. DAILY III Bus. DAILY III flatbed / chassis. DAILY III full body / estate. DAILY III tipper. Our compatibility list of vehicles that could be fitted with this part is based on a catalogue information and it gets regularly updated to best of our knowledge. OEM Numbers: 99444522. IVECO 99444522. BOSCH K S00 000 339. BOSCH K S01 000 309. Pump Type: Vane Pump. 09/2015 152 207. 80 E 21 FP 01/1991 -. 21 E 80 FP 01/1991 -. Give us your trust and we'll help you to repair or update your car! AS 190S46 01/2013 -. AT 190S45 12/2006 -. Line 09/2005 -. AT 190S43 06/2003 -. 260 E 39 Y/FS 11/1999 -. AS 190S42 07/2006 -. 260 E 39 Y/P. POWER STEERING PUMP DSP1678. PART NUMBER: DSP1678. DAILY III Bus. The simplest power steering has a hydraulic pump drive from the engine crankshaft. This kind of amplifier has a performance which is directly proportional to the frequency of rotation of the crankshaft, which is contrary to the real needs of the power steering (at maximum speed is necessary a minimum gain coefficient, and vice versa). OEM Numbers: 504078368. IVECO 504078368. BOSCH K S00 000 357. BOSCH K S01 000 327. Pump Type: Vane Pump. 100 E 18 P tector. 09/2015 130 177. 90 E 18 DP tector 09/2000 -. OEM Numbers: 504134868 / 504238603. IVECO 504134868. IVECO 504238603. IVECO DAILY IV Box Body / Estate 29L10 V 05-2006 -. IVECO DAILY IV Box Body / Estate 29L12 V. IVECO DAILY IV Box Body / Estate 29L14 C.
OEM Numbers: 41031967 / 41211224. IVECO 41031967. IRISBUS ARWAY 15M 01/2005 -. IRISBUS CROSSWAY 10.8m. IRISBUS DOMINO 2001 10/2003 -. IRISBUS DOMINO HD 06/2006 -. IRISBUS DOMINO HD. IRISBUS EVADYS HD 12m 10/2003 -. OEM Numbers: 04896311 / 4896311. IVECO 4896311. IVECO 04896311. BOSCH K S00 000 355. BOSCH K S01 000 325. Pump Type: Vane Pump. 09/2015 202 275. 09/2015 176 240. OEM Numbers: 04842764 / 4842764. IVECO 4842764. IVECO 04842764. BOSCH K S00 000 195. BOSCH K S01 000 165. Pump Type: Vane Pump. 09/2015 130 177. 09/2015 105 143. IVECO DAILY V Flatbed / Chassis 29L13. IVECO DAILY V Flatbed / Chassis 29L15 V. IVECO DAILY CITYS Bus 50C14G Natural Power 10/2015 -. IVECO DAILY VI Box 33S11. IVECO DAILY VI Box 33S13. IVECO DAILY CITYS Bus 50C15 06/2014 -. OEM Numbers: 00481900 / 04814900 / 04833411 / 4709321 / 4814900 / 481900 / 4833411. IVECO 481900. IVECO TurboStar 190-33 07/1984 -. IVECO TurboStar 190-33 10/1986 -. IVECO TurboStar 190-33 P 01/1986 -. OEM Numbers: 41211093. IVECO 41211093. IVECO Trakker AD 340T45. IVECO Trakker AD 340T45 B 06/2006 -. IVECO Trakker AD 380T36 W. IVECO Trakker AD 380T38. IVECO Trakker AD 380T38 B 06/2005 -. IVECO Trakker AD 380T38 W.
OEM Numbers: 04892919 / 04896310 / 4892919 / 4896310. IVECO 4892919. IVECO 04892919. IVECO 04896310. IVECO 4896310. BOSCH K S00 000 332. BOSCH K S01 000 302. Pump Type: Vane Pump. IVECO DAILY IV Flatbed / Chassis 45C18. IVECO DAILY IV Flatbed / Chassis 50C14. IVECO DAILY IV Box Body / Estate 35C18 V. IVECO DAILY IV Flatbed / Chassis 50C14 G. IVECO DAILY IV Flatbed / Chassis 50C15 05/2006 -. Reference: 6783955126. Portugal: Is voce needs to know is this Freckle valid e o seu vehicle, você pode send us or VIN number do seu vehicle. Us can verify isso. Italy: Is hai bisogno di sapere is questo pezzo e valido per il veicolo, puoi inviarci il tuo tuo veicolo VIN number. OEM Numbers: 04853321 / 4853321. IRISBUS 4853321. IVECO 4853321. IVECO 04853321. BOSCH K S00 000 262. BOSCH K S01 000 232. Pump Type: Vane Pump. 09/2015 152 207. Portugal: Is voce needs to know is this Freckle valid e o seu vehicle, você pode send us or VIN number do seu vehicle. Us can verify isso. Italy: Is hai bisogno di sapere is questo pezzo e valido per il veicolo, puoi inviarci il tuo tuo veicolo VIN number. Italy: Is hai bisogno di sapere is questo pezzo e valido per il veicolo, puoi inviarci il tuo tuo veicolo VIN number. WIR können is availability. Nous pouvons le verifier. OEM Numbers: 04842351 / 42498616 / 4842351 / 500059993 / 500059994. ENASA 4842351. IVECO 4842351. IVECO 04842351. IVECO 42498616. IVECO 500059993. IVECO 500059994. BOSCH K S00 001 741. Part number - 7683955. Year of Manufacture - 1999. Model - DAILY (Bus) (II). OEM 504046460. Italy: Is hai bisogno di sapere is questo pezzo e valido per il veicolo, puoi inviarci il tuo tuo veicolo VIN number. WIR können is availability. Nous pouvons le verifier. OEM Numbers: 04831152 / 4831152. IVECO 4831152. IVECO 04831152. BOSCH K S00 000 226. BOSCH K S01 000 196. Pump Type: Vane Pump. 11/2004 272 370. 02/2002 345 469. Give us your trust and we'll help you to repair or update your car! FA 95 XF 430 97-02. FAS 95 XF 530. FTR 95 XF 530. FTT 95 XF 530. FA 95 XF 380. FAS 95 XF 480. FT 95 XF 380. IT IS BEEN REMOVED FROM IVECO DAILY 2.5 TD 1996 YEAR. ONCE AN ITEM IS RECEIVED BACK IT WILL BE QUALITY TESTED ON OUR BENCHES AND CHECKED FOR A MATCH WITH THE ONE SOLD. IT IS BEEN REMOVED FROM IVECO DAILY 2.8 HPI 2004 YEAR. ELIN PELIN 2100. 29 LESNOVSKA. AUTOPARTS SERVICE 86 LTD. ONCE AN ITEM IS RECEIVED BACK IT WILL BE QUALITY TESTED ON OUR BENCHES AND CHECKED FOR A MATCH WITH THE ONE SOLD. PART NUMBER : 504134868. IT IS BEEN REMOVED FROM IVECO DAILY 2.3 HPI 2007 YEAR. ELIN PELIN 2100. 29 LESNOVSKA. AUTOPARTS SERVICE 86 LTD. ONCE AN ITEM IS RECEIVED BACK IT WILL BE QUALITY TESTED ON OUR BENCHES AND CHECKED FOR A MATCH WITH THE ONE SOLD. IT IS BEEN REMOVED FROM IVECO DAILY 2003 YEAR. ELIN PELIN 2100. 29 LESNOVSKA. AUTOPARTS SERVICE 86 LTD. ONCE AN ITEM IS RECEIVED BACK IT WILL BE QUALITY TESTED ON OUR BENCHES AND CHECKED FOR A MATCH WITH THE ONE SOLD. IT IS BEEN REMOVED FROM IVECO DAILY 2009 YEAR. ELIN PELIN 2100. 29 LESNOVSKA. AUTOPARTS SERVICE 86 LTD. ONCE AN ITEM IS RECEIVED BACK IT WILL BE QUALITY TESTED ON OUR BENCHES AND CHECKED FOR A MATCH WITH THE ONE SOLD. IT IS BEEN REMOVED FROM IVECO DAILY 35S11 2.8 TDI 2002 YEAR. ELIN PELIN 2100. 29 LESNOVSKA. AUTOPARTS SERVICE 86 LTD. ONCE AN ITEM IS RECEIVED BACK IT WILL BE QUALITY TESTED ON OUR BENCHES AND CHECKED FOR A MATCH WITH THE ONE SOLD. PART NUMBER : 99470388. ELIN PELIN 2100. 29 LESNOVSKA. AUTOPARTS SERVICE 86 LTD. ONCE AN ITEM IS RECEIVED BACK IT WILL BE QUALITY TESTED ON OUR BENCHES AND CHECKED FOR A MATCH WITH THE ONE SOLD. PART NUMBER: 504000927. IT IS BEEN REMOVED FROM IVECO DAILY 2.3 HPI 2008 YEAR. ONCE AN ITEM IS RECEIVED BACK IT WILL BE QUALITY TESTED ON OUR BENCHES AND CHECKED FOR A MATCH WITH THE ONE SOLD. (MAKE SURE THE PART NUMBER MATCHES THE ONE YOU NEED). REMOVED FROM IVECO CURSOR 240 2001 YEAR. ELIN PELIN 2100. 29 LESNOVSKA. AUTOPARTS SERVICE 86 LTD. ONCE AN ITEM IS RECEIVED BACK IT WILL BE QUALITY TESTED ON OUR BENCHES AND CHECKED FOR A MATCH WITH THE ONE SOLD. PART NUMBER : 4896310. ELIN PELIN 2100. 29 LESNOVSKA. AUTOPARTS SERVICE 86 LTD. ONCE AN ITEM IS RECEIVED BACK IT WILL BE QUALITY TESTED ON OUR BENCHES AND CHECKED FOR A MATCH WITH THE ONE SOLD. IVECO PART NUMBER: 504046460. IT IS BEEN REMOVED FROM IVECO DAILY 2.3 HPI 2005 YEAR. ELIN PELIN 2100. 29 LESNOVSKA. AUTOPARTS SERVICE 86 LTD. ONCE AN ITEM IS RECEIVED BACK IT WILL BE QUALITY TESTED ON OUR BENCHES AND CHECKED FOR A MATCH WITH THE ONE SOLD.